Known to be the most listened to youth radio station in the Ashanti region, YFM 102.5mhz a subsidiary of the Global media alliance has not relent on its efforts to bring the best to its audience by way of programming and personalities to man it’s programs. As part of its plans to stay on top as the most listened to youth radio station in the Ashanti region, YFM has introduced a new host to its mid morning show. 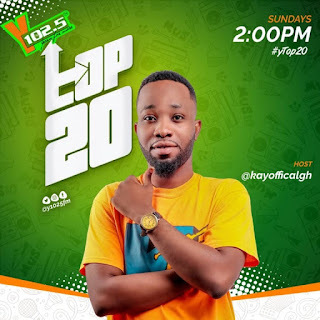 Known in real life as Savior Kofi Kuma, Kay Official is by far the best substitute for YFM’s mid morning radio show and Ytop 20 after the exit of Pap Jay. Hitherto his move to YFM, Kay Official was the host of the mid morning program “Urban grooves” at Sunyani based sky fm. Kay Official comes as highly recommended and the best man for the job as he brings on board his A-game to keep the station as lit as always. His soothing voice, delectable presentation, awesome delivery and huge sense of Witt and humour is certain to keep listeners glued to their radio set and make them yearn for more!! !